Double Tog+Porter Rewards for Referrals in August! Invite a friend to join Tog+Porter between August 1st and 31st and receive a $40 Rewards Credit toward your next order when your friend completes her first order! It may be sweltering in August, but it’s only woman-nature to start letting visions of fall fashions jump through your head. It’s also the time to start putting in your fall requests! Our lines are offering some absolutely amazing looks for fall and it’s the perfect time to get a move on that fall wardrobe. We’ll make sure the pieces you receive will work right in to your late summer wardrobes for a seamless transition. 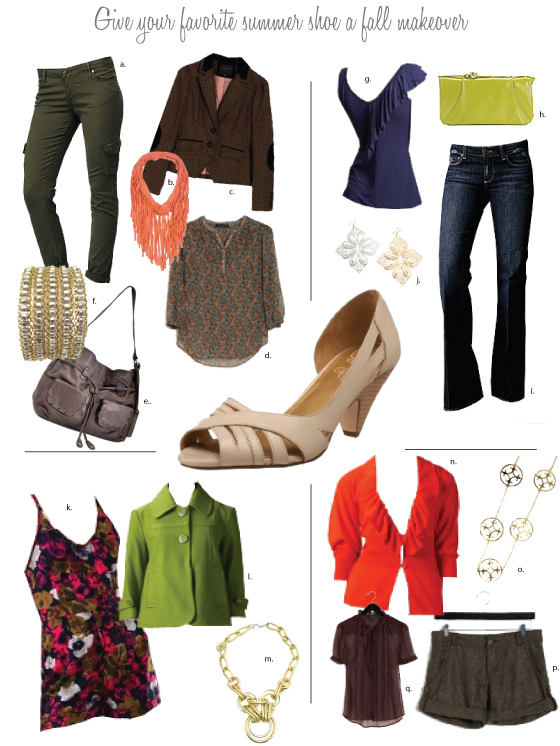 Consider auto-ship so you and your Stylist can easily plan your upcoming fall and winter wardrobes. Ready for a new box, but having trouble connecting with your Stylist, contact the home office: info@togandporter.com today and we’ll make your order our top priority! New T+P Website Coming Soon! We’re so excited to launch a new T+P site in the next few weeks. Some of the updates you’ll see: easy access to our blog directly on the T+P site (until then, keep up-to-date at the T+P blog here and follow us on Twitter here), updated lookbooks, apparel pictures, trend updates, video style tips and lots more! We now offer a monthly auto-ship option to our T+P members. Auto-ship members will receive priority of fresh looks from our designers. All auto-shipments will be shipped on the 15th of every month, which means you’ll know exactly when to expect your new clothes. Save time by connecting with your Stylist to get yourself signed up, learn the details and decide what you’d like to get out of your next few shipments! UPS is now our delivery service of choice. Please note that your return labels are now pre-paid return labels for UPS. Options for returning your box include: hand your package to your daily delivery driver, contact 1-800-Pick-UPS (742-5877), drop off at an authorized UPS drop off location CLICK HERE to find locations in your area. Have a beautiful August and look for regular Style Updates in your inbox monthly and on our blog all year long!